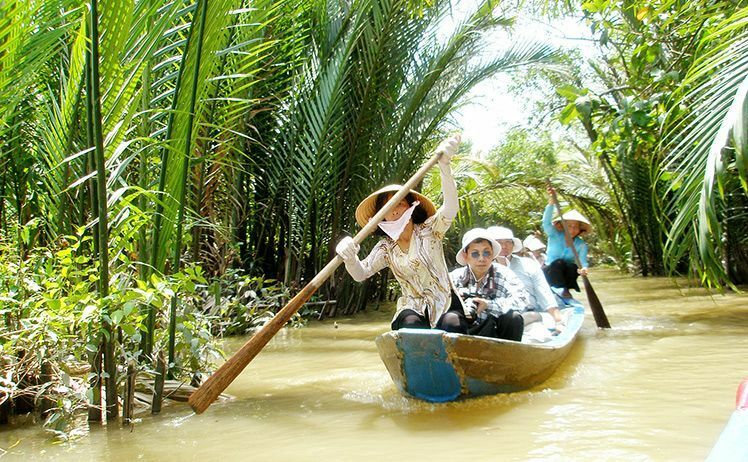 Mekong Delta is also known as Vietnam’s ‘rice basket’– a fertile area spreading nearly 50,000 km. 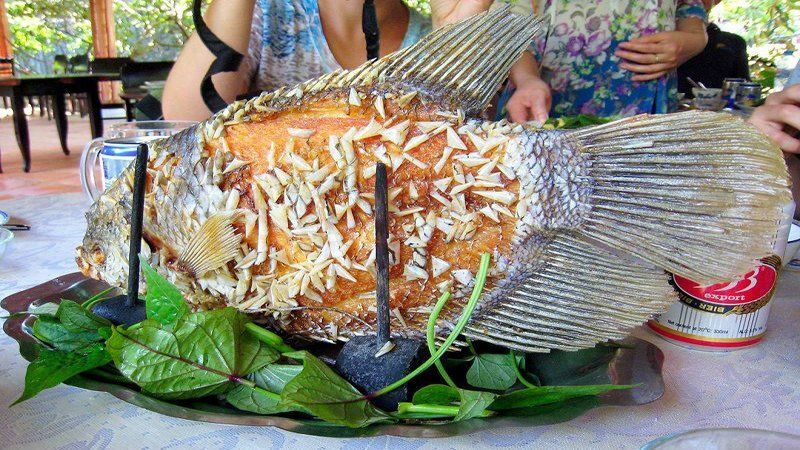 Here the mighty Mekong river ends by splitting itself into nine major tributaries. 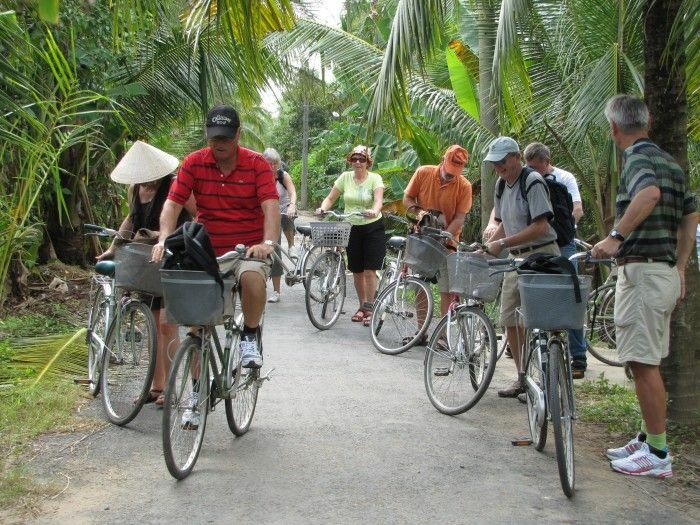 The Vietnamese name these nine tributaries “Nine Dragons.” Here’s our schedule that is designed to help you experience local daily activities along the Mekong. 8:00Am, travel by shuttle bus to My Tho – 9:30 AM, board a wooden motor boat to Unicorn Island. On this boat along the river’s bank, you’ll be passing through natural creeks and quiet villages and watch rural people going to work. You will see an interesting fishermen’s port,stilt houses. 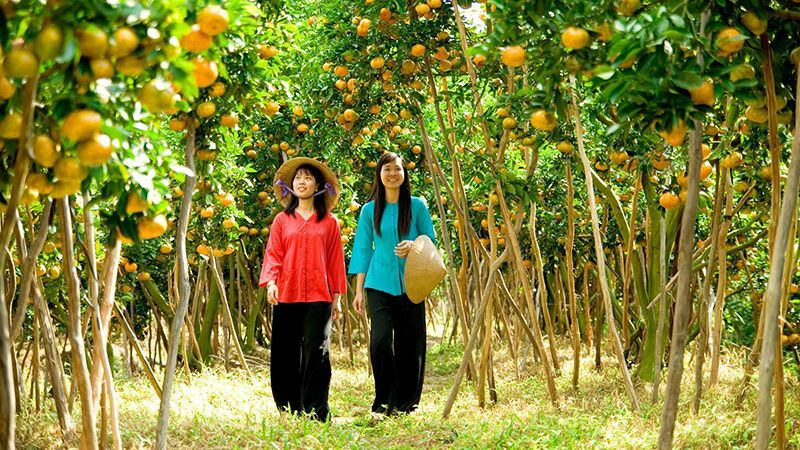 One of the boat’s stops during this trip is at a large orchard that has many different types of tasty tropical fruits for your enjoyments. Another boat stop is for the Turtle Island 1 hr from the previous one. Here, on a small row boat, you’ll see interesting transportation modes that local people use to move around. 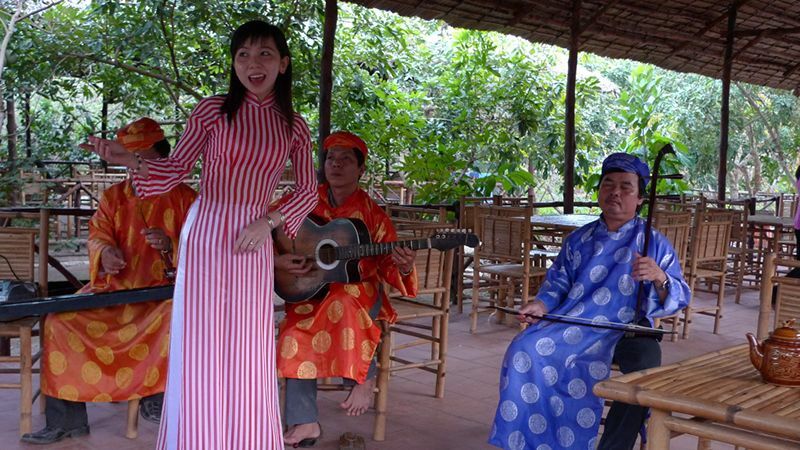 From there, we’ll take you to a bee farm where you have a chance to taste a tasteful cup of authentic honey tea while checking out the folk music that is typical to only the people in Southern Vietnam. The end of tour, we are coming back to Ho Chi Minh city. Air-conditioned bus to visit throughout the program. Water: 1 bottle / person / day. 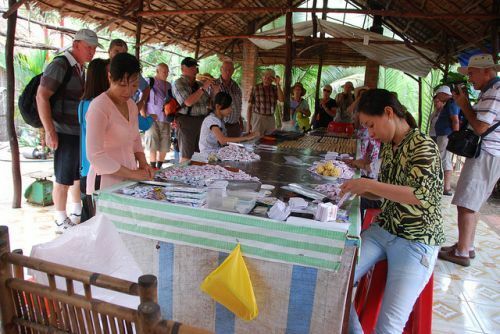 English / Vietnamese guide during the tour, enthusiastic, attentive and very professional. Entrance fees, fruits, rowing boat, bicycle.